Known as the golf capital of the world, Palm Beach Gardens is home to eight private and prestigious golf course communities, all conveniently situated directly off popular PGA Boulevard. Gated golf communities include BallenIsles, Mirasol Country Club, Old Palm, Old Marsh, Frenchman’s Reserve, Frenchman’s Creek, Eastpointe Country Club, and PGA National, home to the 1983 Ryder Cup, the 1987 PGA Championship, several Senior Championships, and currently the annual Honda Classic Golf Tournament. A golfer’s paradise, PGA National is home to five of Florida’s top courses including the Championship Course, a spectacular Jack Nicklaus designed golf course that is highly recognized for its infamous “Bear Trap.” Many past and present professional golfers chose to call Palm Beach Gardens home because of its highly touted golf course communities and because the Professional Golfers Association headquarters is nestled in the heart of the golfing district. 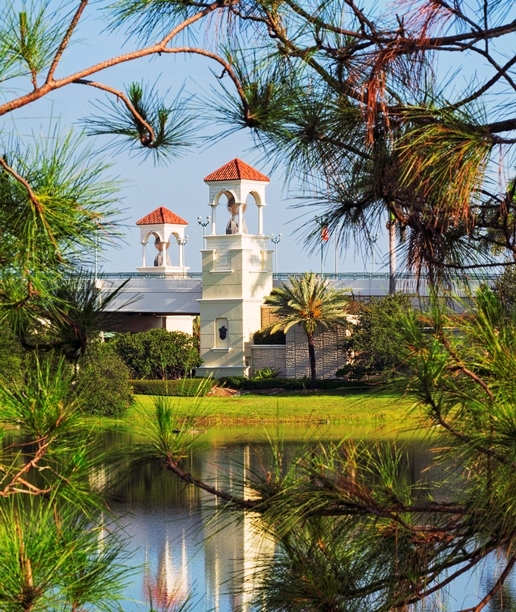 For residents with homes outside of the aforementioned clubs, Sandhill Crane, the city’s only municipal course, is just a short drive west and features panoramic views of the Loxahatchee Nature Preserve, Bermuda fairways, and tifeagle greens. A few miles north on Donald Ross Boulevard, golf aficionados can enjoy access to another municipal course: Abacoa Golf Club in Jupiter. 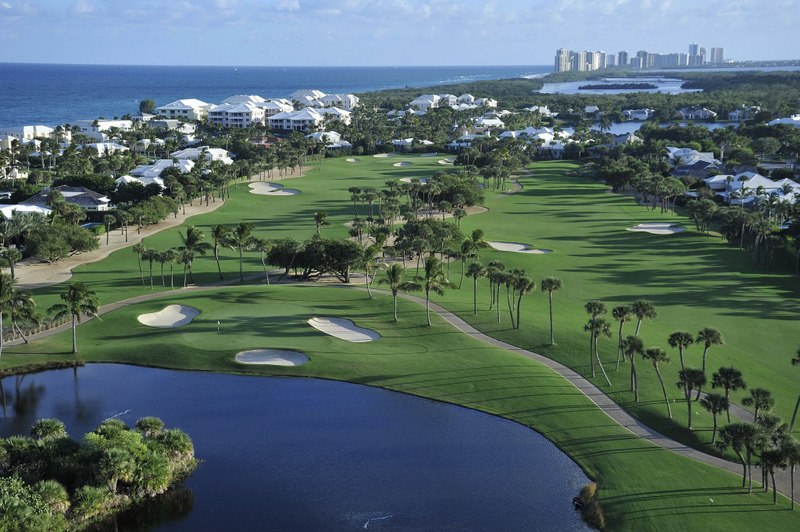 Designed by architect Joe Lee, the Abacoa golf course meanders through rolling terrain and natural vegetation. The Island at Abacoa is situated along the undulated greenway and contains golfview homes as well as townhomes. Jupiter is also home to many prestigious and private golf course communities including Trump International, Jupiter Country Club, Admirals Cove, Jonathans Landing, Loxahatchee Club, and The Bear’s Club, the home golf club of course designer and golf legend Jack Nicklaus. One of the most elite clubs in world, The Bear’s Club is comprised of custom golfview estates, club villas, and a 40,000 square foot clubhouse. In Tequesta, Turtle Creek Golf Club, Tequesta Country Club, and Jupiter Hills Golf Club are all residential courses that align with the town’s charming personality. Along the Treasure Coast in Hobe Sound, the Medalist Golf Club is an exclusive country club designed by Jupiter resident and legendary golfer Greg Norman. Many top PGA professionals play and practice at the Medalist Golf Club to prepare for upcoming tournaments. Another residential golf community in this region is Mariner Sands Golf and Country Club in Stuart. The community is represented by NV Realty Group and is comprised of two 18-hole golf courses, a brand new health and wellness center, croquet lawns, tennis courts, and swimming pools. Arguably the best public golf course in the nation, North Palm Beach Country Club golf course was redesigned for a mere $1 into a Jack Nicklaus Signature Course by the local resident himself. 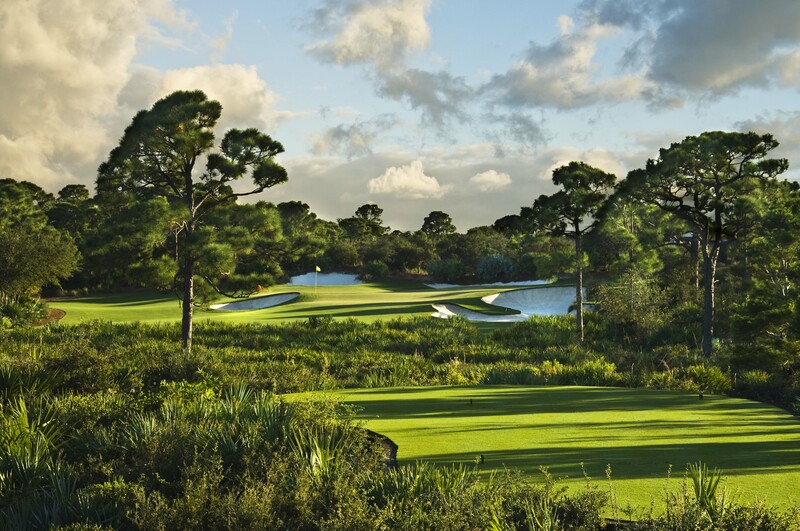 Bordering the Intracoastal Waterway, the golf course takes full advantage of the natural terrain, which includes Seminole Ridge and mature oak trees. For private club options in North Palm Beach, Seminole Landing and Lost Tree Village boast two of the nation’s finest greenways. From a historical standpoint, Seminole Landing has had numerous celebrities, golf professionals, and even U.S. Presidents walk its greens. Likewise, Lost Tree Village is remarkably private and features a fantastic facility, manicured beltway, and a familial atmosphere. Both of these North Palm Beach golf course communities are framed by the Atlantic Ocean, offering residents private beach access. The southern region of Palm Beach, which includes Boca Raton, Boynton Beach, and Delray Beach, has many private and a few public courses within suburban neighborhoods. These communities include Atlantis, Boca Country Club, Addison Reserve, Pine Tree Golf Club, Quail Ridge, Mizner Country Club, and St. Andrews Golf Club. Each community features one to two 18-hole championship courses designed by top golf architects. Additionally, many of these communities boast tennis courts, a fitness facility, dining options, swimming pool, and a clubhouse.